Dogtra 2 in. Transmitter Antenna. $14.99. "Love having my e-collar working again with the new antenna!!" Love having my e-collar working again with the new antenna!! Both of my dogs are rescues, and my pointer has taught my pitbull to hunt now that they have the freedom to run in the field again Very fast delivery!!! Awesome. Thanks!!! "Makes my transmitter much easier to use." Makes my transmitter much easier to use. Works just like it is supposed to. Quick shipping, good prices. 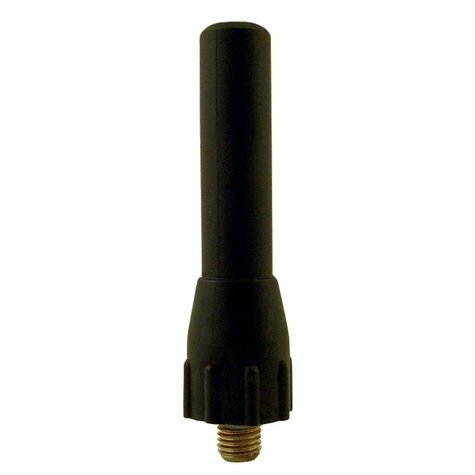 Replacement antenna for the 175NCP, 200 Series, 280 Series, 300 Series, 7000 Series, 1100NC, 1200 Series, 1500 Series, 1600 Series, 1700 Series, 1900 Series, 2300 Series, 7100 Series, ARC Series and RR Deluxe transmitter.